It is getting them wide release across the country. With many movies doing huge business, many Hollywood films have targeted India to mint huge money all over. James Bond movies and many other action movies have been doing huge business across the country. Though many of the youngsters are not aware of the film, it has been a huge hit on television. It has been initially released as a book which was a stupendous hit after which it has been transformed into a tv series. The serial has been telecasted on Doordarshan, and the series has been a huge hit, and it left a huge impact on the audience especially youth. Now the makers have made it into a film, and it has been directed by Jon Favreau. The producers have taken more than two years to wrap up the pre-production work of the movie. Bill Murray, Ben Kingsley, Idris Elba, Lupita Nyong’o, Scarlett Johnson, Giancarlo Esposito, Christopher Walken and Neel Sethi are the lead actors who lent their voice to the famous characters in the movie. The movie has been made on a massive budget, and the makers made sure that they promoted the film well before the release. The theatrical trailer has been appealing to all the sections of the audience across the world, and it raised the expectations on the film. John Debney composed the music for the movie, and Bill Pope is the cinematographer for The JB. The makers erected massive sets, and many of the episodes have been shot in thick forests for bringing the realistic feel. Jon Favreau and Brigham Taylor produced the movie on Walt Disney Pictures along with Fairview Entertainments banners. 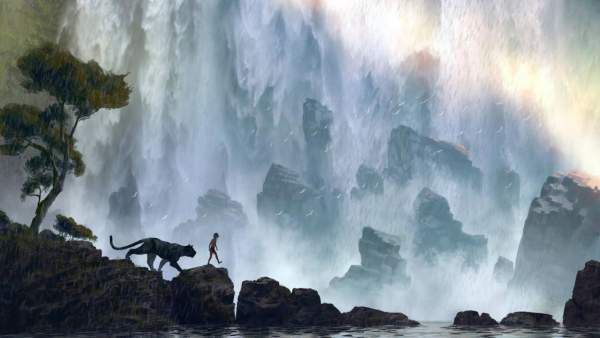 The Jungle Book released across the world on April 8th across the world, and the movie received an exceptional response from the audience all over. The film opened with a bang, and it collected Rs 10.5 crores on its first day all over the country. With exceptional response from the audience all over, the movie gained strength, and it collected Rs 13.51 crores on its second day all over. The film collected Rs 15.2 crores on its first Sunday, and the movie made Rs 38.80 crores in its first weekend all over. TJB has been declared as the biggest hit all over this year. Stay tuned to The Reporter Times for latest movie news and all other Entertainment updates. Don’t forget to share it with your friends on social networking sites to let them know. Share your thoughts and views with us via commeting below.